Recurring payments are automatic payments that process on a set schedule for things like memberships, subscriptions, repeat services, lessons, and more. Recurring payments let businesses operate with predictable income by offering customers the convenience of an automatic option. An all-in-one payment solution can be the easiest way for small businesses to automatically collect recurring payments. We recommend Square for businesses that need a simple, economical way to manage automatic recurring payment for repeat services, lessons, and more. Square has no startup, monthly, or cancellation fees; all you pay is a low per-transaction fee. 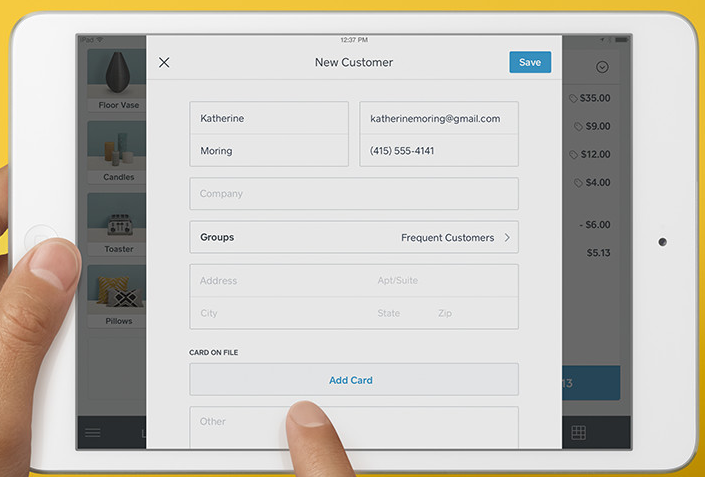 Plus, you get Square’s full suite of payment, sales, and business management tools for free. Click here to start a Square account. *Some payment processors charge a higher processing fee for recurring payments than for mobile, online, or in-store payments. We detail these fee differences below, where applicable. A recurring payment is a repeat payment that businesses process on behalf of customers. To enable recurring payments, a customer must save a “Card on File” in a business’ payment processing system and grant permission for the recurring charge. Stored payment data can then be used to automatically process payments for repeat services or subscription purchases. Payment processing services can automate all types of business billing needs. Some run recurring payments based on invoice cycles, others initiate and manage recurring payments online. These are very different payment solutions, so it’s important to first identify your billing needs before shopping for a recurring payments provider. Invoice-based recurring payments automatically charge customers each time invoices are processed. Processors that support this method let customers save payment information via an initial invoice, and approve subsequent payments within the invoicing system. When new invoices process, payments charge automatically and customers receive “invoice paid” receipts. Service Providers – Lawn care, house cleaning, personal training, and child care can process recurring payments via single or batch invoices. Monthly Tuition or Lesson Fees – Fitness club dues, music lessons, dance studios, and tutoring businesses can run invoices and automated payments on a monthly basis. Subscription Services or Club Sales – Wine of the month clubs and store loyalty program fees can use recurring payments to automate monthly club sales or fees. Online recurring payments are initiated with an online purchase, like a subscription box order or online membership registration. After the initial purchase, subsequent payments process automatically. 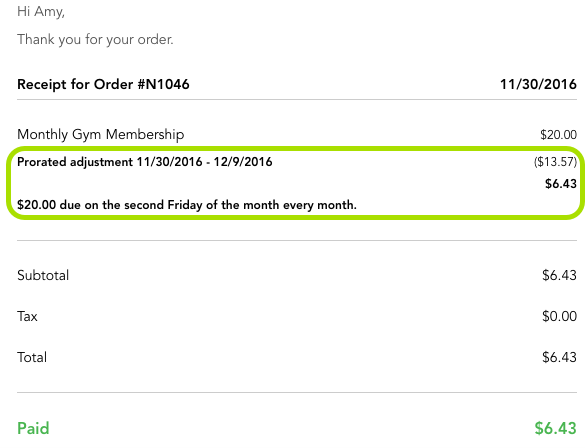 These recurring payments can be scheduled, like a monthly membership payment, or run as-needed, such as when subscription orders ship. Subscription Box Businesses – Subscription box sellers use online websites and marketplaces to sell subscriptions, then automatically run recurring charges for subscribers prior to shipping scheduled boxes. eLearning Academies – eLearning businesses make online course content and instruction accessible on an ongoing basis via an online checkout with scheduled recurring payments. Membership Blogs with Restricted Content – Informational bloggers can manage access to members-only content using recurring membership payments. Online Services – Recurring payments are what make all types of online services possible, including Software as a Service (SaaS), online advertising, gaming products, virtual service providers, and mobile apps. Recurring payment processing fees are typically a small percentage of the transaction total. Rates vary among payment providers and some tack on monthly account fees. For example, Square charges 3.5% + 15¢ per recurring payment, so a $100 charge costs $3.65 in fees. However, that’s all you’ll pay since Square has no other account fees. Some recurring payment solutions match Square’s no-monthly-fee model—such as Stripe and certain QuickBooks Payments plans. In contrast, PayPal and PaySimple both charge monthly fees for recurring payments, but have lower per-transaction fees. To determine the best recurring payment solution for your business, you need to balance these costs with the type of billing model—invoice or online sales. You’ll also want to consider other payment processing services or perks that these providers offer. Value-added benefits such as Square’s free business management suite or QuickBooks Payments seamless integration with QuickBooks might be the deciding factor. We explore these factors below to help you find the best recurring payments fit for your business. Recurring payments are supported by most payment processing services, but some providers are geared to meet specific recurring payment needs better than others. Below, we explore how each of these six top providers handles recurring payments, their processing fees, and related costs. Square is a top-rated retail point-of-sale (POS) system that covers every base when it comes to processing credit cards—including recurring payments. Like everything else with Square, recurring payments are simple to set up and easy to manage long term. At 3.5%+ 15¢ per transaction, Square’s recurring payment is higher than some other providers on our list. However, if you want to accept recurring payments alongside your in-store, mobile, and/or online sales, Square’s fully integrated system ties everything together seamlessly. Square’s PCI-compliant payment system allows your customers to store their credit card information as a Card on File (CoF) in Square’s secure payments vault. Customers can enter this information via a link from your emailed invoice, or you can enter this on their behalf using your Square POS system or online dashboard. To see the CoF feature in action, simply open up a free Square account and explore customer screens, invoice features, and payment processing options risk-free. Recurring payments are triggered by Square’s invoicing function. When invoices are run—either individually or in a batch—any CoF customer payments are automatically charged. Customers are then notified of the payment via email with a “paid” invoice receipt. The entire process is quick and requires very little setup or ongoing management. Being invoice-based, Square recurring payments make it easy to process regular payments plus add-on charges as needed. Added fees can be entered as a separate invoice or added to regular recurring charges—whatever fits the billing need. In addition to recurring payments, Square offers a full range of in-store, mobile, and online payment solutions. These transactions carry lower processing fees than recurring payments. Add in Square’s free retail POS system with complete sales tracking, inventory, and business management features, and Square is truly all you need to run a small business. Create a free Square account. PayPal makes it easy to manage online recurring payments via online invoicing, email marketing, and website sales. PayPal recurring payments is an ideal solution for online-based businesses that need to bill customers for online memberships, repeat services, and subscriptions. To use PayPal recurring payments, you’ll need either PayPal’s Virtual Terminal feature or a Payments Pro account—and both have a $30 monthly fee. Add the $10 recurring payments service and you’re going to spend $40 per month to accept PayPal recurring payments. Now for that price, you get other features like tidy online shopping cart integrations and online invoicing, which can make it well worth the cost. Plus, your per-transaction fee is lower than Square and a few others on our list—just 2.9% + 30¢ per sale. PayPal also provides lower fees for nonprofits, which can be helpful for nonprofits setting up a subscription donation program. There are several ways to connect PayPal’s recurring payment service to a website, blog, or even email marketing. PayPal tutorials show you how to quickly add “Subscribe” buttons like the one shown below to any online sales and marketing tools. You can also accept recurring payments via PayPal’s fully integrated ecommerce checkout solutions. PayPal “Subscribe” buttons can be easily added to websites, blogs, and marketing emails. Create Your Recurring Charge – Set up the recurring payment amount and processing schedule in PayPal’s recurring payments dashboard, then create “Subscribe” buttons. Publish Your Product or Service – Add “Subscribe” buttons to your website product pages, blog posts, or marketing emails. Customers Purchase and Sign Up – As customers subscribe, PayPal creates a recurring payment profile for each customer at checkout. PayPal Automatically Bills per Schedule – PayPal processes scheduled payments automatically and deposits funds into your PayPal account until the term expires or you or your customer cancels the subscription. Customers use PayPal’s secure checkout screen, shown below, to complete their recurring payment purchase or registration. PayPal’s recurring payment screen lets customers use their PayPal or credit card account for recurring charges. Using PayPal recurring payments, your customers can choose to use their PayPal account, credit card, or debit card to pay. This is a nice perk for online sellers since PayPal is a popular payment choice among online shoppers. PayPal even lets you easily set up subscriber logins to control access to members-only content on your website or blog. This sets it apart from other providers on our list, including Square, QuickBooks, and Stripe. QuickBooks users can use QuickBooks Payments’ recurring payments feature to process payments seamlessly within QuickBooks. This feature lets you offer your customers the convenience of automated payments for whatever type of repeat service or purchase you provide—from dance lessons to donation collections to beer-of-the-month club payments. What you pay for your QuickBooks Payments account and processing fees depends on which QuickBooks software you’re using—QuickBooks Online or QuickBooks Desktop. Each offers two QuickBooks Payments plan options: lower fees with a monthly fee, or higher fees with no monthly fee, as detailed below. Depending on your sales volume, the plans with monthly costs but lower per-sale fees can save you money in the long run. You’ll want to compare plans using your own sales numbers. Learn how to figure out your credit card processing costs in our credit card processing fees guide. Like the other recurring payments solutions on our list, QuickBooks Payments saves your customers’ payment data in a secure vault. To enable recurring payments in QuickBooks, you simply click a button when you create a sales receipt. QuickBooks has a handy tutorial that walks you through the process step-by-step for both QuickBooks Online and Desktop versions. The recurring payments feature is built into your QuickBooks Payments account and enabled with a click of a button. After you’ve created and scheduled the initial recurring payment for your customer, QuickBooks has a final step. It prints a Customer Authorization form for your client to sign. This keeps everything nice and tidy—and the lawyers happy. Other providers like Square, PayPal, and Stripe record authorizations electronically, but QuickBooks also provides a hard copy for your files. QuickBooks provides printable recurring payment authorization forms that you can keep on file. Seamless integration with your QuickBooks billing and accounting system is the primary benefit of QuickBooks recurring payments. If you use QuickBooks to run your business, this is the clear solution for recurring payment and all other payment processing needs. Stripe is a leading online payment processing solution and a major competitor of PayPal, in general. Like PayPal, Stripe delivers excellent recurring payment options for online subscription sales, online blogs, eLearning memberships, and online invoicing. It even supports mobile app-based services that handle in-app subscription services payments. Because there’s no monthly account fee, Stripe can be a more economical recurring payment option than PayPal. It delivers the same range of recurring payment services as PayPal, but a drawback to Stripe it that it doesn’t accept popular PayPal payments. That’s something online businesses need to consider if deciding between the two. Stripe recurring payments are simple to set up and integrate into most ecommerce platforms and blog sites. In fact, many online subscription box marketplaces like CrateJoy seamlessly integrate with Stripe as their primary payment solution—so setup takes just seconds. Using Stripe, you can quickly attach subscription payments to most ecommerce platforms using Stripe’s automated integrations. Or, you can create quick pop-up membership or subscriptions forms that easily embed in your blog or website pages, and even in emails and online apps. You have virtually unlimited online and app-based membership sign-up and subscribe-now form options with Stripe. Like the other online recurring payment solutions on our list, Stripe saves your customer’s payment data in their PCI-compliant virtual vault to ensure security. 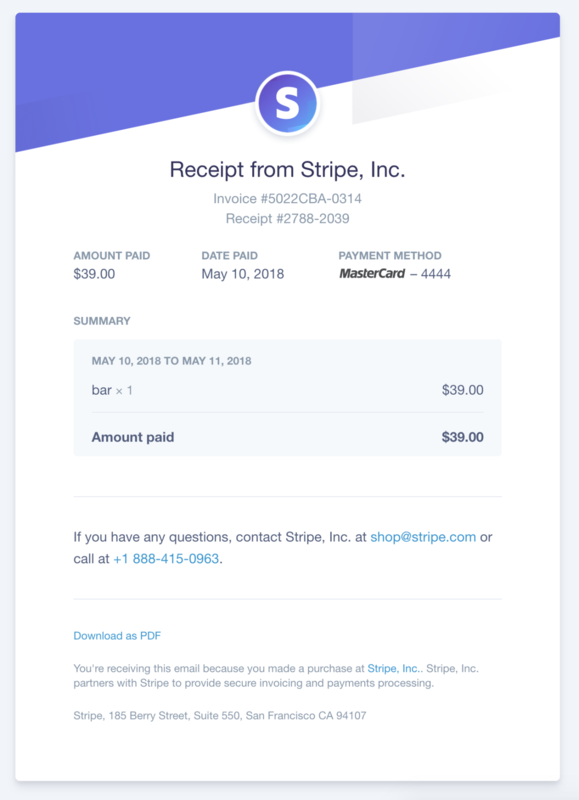 Plus, Stripe can send e-receipts to notify customers that their automated payment has been successfully processed. e-Receipts can be sent to customers when automatic charged are completed. Stripe has no monthly fee, which is a plus compared to PayPal’s $40 monthly account cost. Plus, Stripe accepts more international payment methods than virtually any other online payment processor—including PayPal. Where Stripe falls short of Square and PayPal is in-person payments. You don’t get mobile credit card readers or a built-in retail point-of-sale system with Stripe. If you need to accept credit cards in-person, too, Square or PayPal are better options. However, for managing online—and particularly international—recurring payments, Stripe is a serious contender. One-click integrations to top ecommerce platforms make setup a breeze, and its many global payment options open your business to a worldwide audience. PaySimple is more than a payment processor. It’s a full-service ecommerce platform with particularly strong membership, subscription, order, event, and booking management features. With PaySimple, you can create your own secure online sign-up forms or standalone membership site, accept one-time and recurring payments, and manage it all within PaySimple’s tidy package. Recurring payments are a built-in feature of PaySimple’s online sales platform. With PaySimple, you get an array of online tools that let you accept and manage all sorts of customer registrations, memberships, and subscriptions. It also provides robust booking management tools, complete with prepayments and deposits. In PaySimple, recurring payments can be initiated by your customer via online forms on your PaySimple registration or membership website. Or, you can create them yourself in the PaySimple dashboard on a customer’s behalf using the Manage Recurring Payments tab. PaySimple’s intuitive dashboard lets you easily track customers, create many types of subscription products, and manage event and class registrations. In the PaySimple dashboard, you can set up repeat billing schedules, manually process or refund payments, and manually initiate or cancel subscriber accounts as well. PaySimple can even prorate monthly billing amounts automatically, as shown below. PaySimple membership payments can be set up to prorate if purchased mid-cycle. The beauty of PaySimple is that it delivers an all-in-one platform designed specifically for service-based businesses. With recurring payments built-in, providers can easily market, sell, and manage everything from online bookings and ticket sales to class schedules and lesson fees with PaySimple. Traditional merchant services, like Chase Merchant Services, also support recurring payments. However, unlike the all-in-one payment processing services covered above, traditional merchant services don’t have set fee structures for payment processing. With traditional merchant services providers, the account and per-transaction fees that you pay depend on many factors. These include your overall sales volume, the types of products and/or services you sell, and how you sell them—online, in-store, mobile, or via invoiced billing. The ecommerce platforms or point-of-sale systems that you use can also affect your processing and account costs. Traditional merchant services’ processing fees can be far lower than all-in-one providers. Notably, the interchange-plus fees from Chase Merchant Services can beat all-in-one providers by as much as a percentage point or two. Again, this depends on the factors mentioned above. You can see how interchange-plus pricing stacks up against all-in-one providers in our guide to understanding credit card processing fees. To see if a traditional merchant account delivers the best value, contact our recommended merchant services provider, Chase Merchant Services. Its payments team will assess your business and craft a payment processing plan that meets all your needs—from basic recurring payments to multichannel processing solutions. For monthly memberships, subscription sales, service providers, lesson programs, and more, offering automated recurring payments makes good business sense. It’s convenient for your customers and creates predictable cash flow for your business. 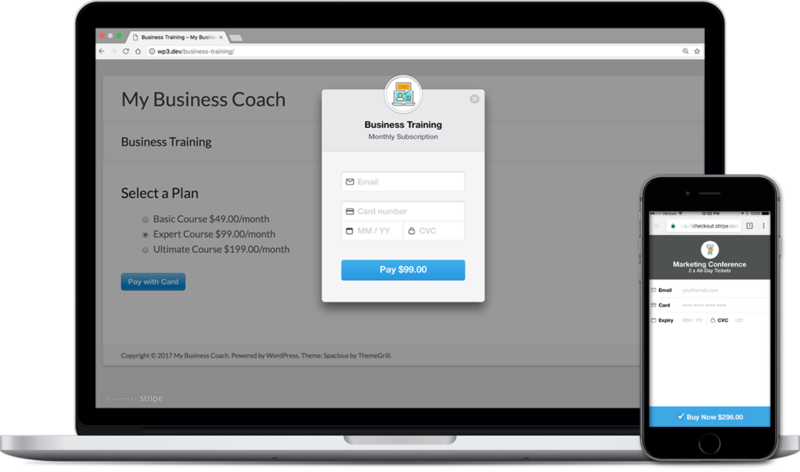 For startups and small service businesses, we recommend Square for recurring payments. With it, you can accept payments anywhere you do business—in-person, online, and mobile—plus you get a robust sales and business management platform for free. Sign up for a free account and start accepting recurring payments today. We are a law firm that wants to collect monthly recurring payments. We are a service so we do not need to invoice, but can have that option. If we are not selling a product, which payment provider would you recommend? Also, we want to be able to link it to our website so which service would be best for that other than PayPal? We are trying to figure out if PayPal would be better than Square and/or Due based on your recommendations, but any one of them has to be able to link to our website. Both PayPal and Square will link to most website platforms. Since you don’t mention the platform you use, I can’t say for certain, but both PayPal and Square are pretty universal, so either should work for you. Of the two, PayPal has a better recurring payments feature since it’s a true hands-off auto payment. Square’s recurring payment feature is tied to its invoicing function. So, with Square, you have to create an invoice to trigger the auto-pay each month. It sounds like PayPal might be the better option for you since clients can register for the auto-pay feature via your website, then it runs automatically to charge clients the set rate each month. However, if you have to change that amount each month, Square’s invoicing/auto pay might be the better option since you can set the payment amount with each monthly invoice. I hope this answers your question, good luck! For Quick books recurring payments What is the diffence between option 1 & 2? Besides the fees. Do I have to qualify for option 1?